Saudi Arabia is nearing completion of its first nuclear reactor. Jody Wilson-Raybould and Jane Philpott may no longer be part of the Liberal caucus, but they aren’t fading into the political background. The plight of nearly 100 whales held captive in Russia has attracted the attention of everyone from marine biologists to Vladimir Putin. Saudi Arabia is on the verge of becoming a nuclear nation, without ever having to pledge that it won’t build the bomb. New Google Earth images, flagged by Bloomberg news, show that work on the Kingdom’s first reactor will be complete within a matter of months. The building, located in the King Abdulaziz city for science and technology outside of Riyadh, appears to be a small 30-kilowatt facility, more suitable for research and training than electricity generation. 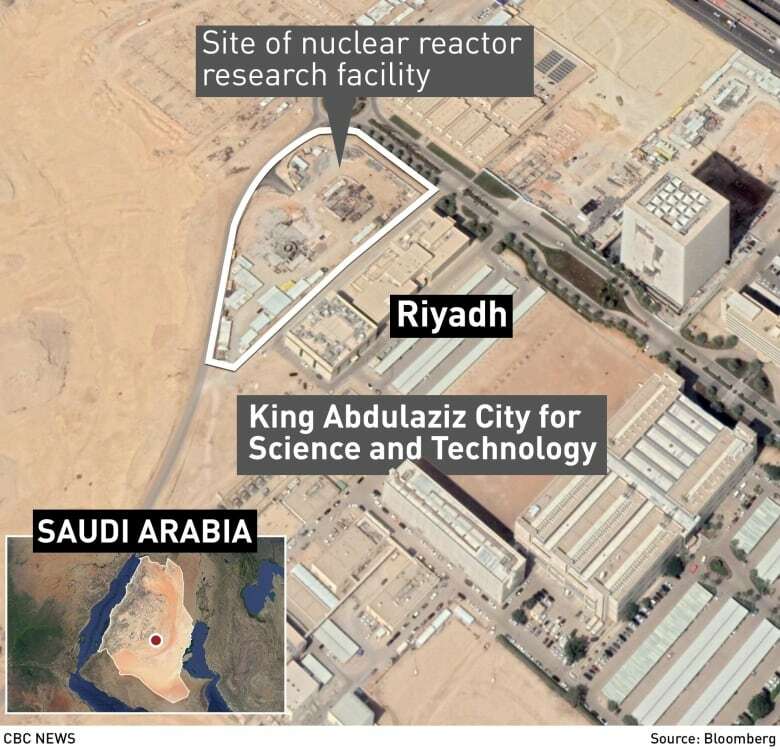 But it is raising global concern because Saudi Arabia hasn’t officially disclosed the project, or agreed to International Atomic Energy Agency (IAEA) rules that would permit independent inspections and ensure that enriched uranium and plutonium isn’t diverted to a weapons program. The Saudi government has a long-term plan to develop as many as 16 nuclear reactors for power purposes as part of its wider efforts to reduce its dependence on oil. But officials have been cagey about whether they might also seek to build bombs, citing Iran’s nuclear program as a threat. Regardless, it seems that the Trump administration is on board. Late last month, it emerged that U.S. Energy Secretary Rick Perry had secretly approved seven permits to allow American firms to sell nuclear power technology and expertise to the Saudis. The U.S. Congress has been holding hearings to try and determine what and why, but are receiving little cooperation from the White House. The issue has been top of mind for Democrats and some Republicans since whistle-blowers came forward to allege that senior Trump advisors, including his son-in-law Jared Kushner, have been actively trying to find a way to help the Saudis build reactors without having to sign non-proliferation agreements. The power deals could be worth billions to American companies, which are competing for the Saudi business with nuclear firms in France, Argentina, South Korea and Kazakhstan. However, the Kingdom’s indifference to human rights at home and abroad — as demonstrated by the ongoing conflict in Yemen and the murder of dissident journalist Jamal Khashoggi — has led some to conclude that the risks are too high. “If you can’t trust a regime with a bone saw, you should not trust it with nuclear weapons,” Rep. Brad Sherman, a California Democrat, told Secretary of State Mike Pompeo last week. The reactor revelation comes just days after the Saudi government quietly let slip that its oil reserves might not be quite as plentiful as the rest of the world has long believed. This week, the state oil company Saudi Aramco released financial data for the first time in almost 40 years as it prepares to borrow $15 billion US on the international bond market. The disclosure pegged the company’s net income at $111.1 billion US, making it the world’s most profitable corporation by a country mile. But the numbers also show that production at the massive Ghawar oil field has dropped by about 25 per cent since 2004 — from more than 5.8 million barrels a day to 3.8 million. The Saudis still claim to have a maximum daily production of 12 million barrels from their 101 oil fields, but they now predict that Ghawar’s reserves will be tapped out as soon as 2053. Still, King Abdullah and his hand-picked successor Prince Mohammed bin Salman have plenty of cash on hand to feather the landing. 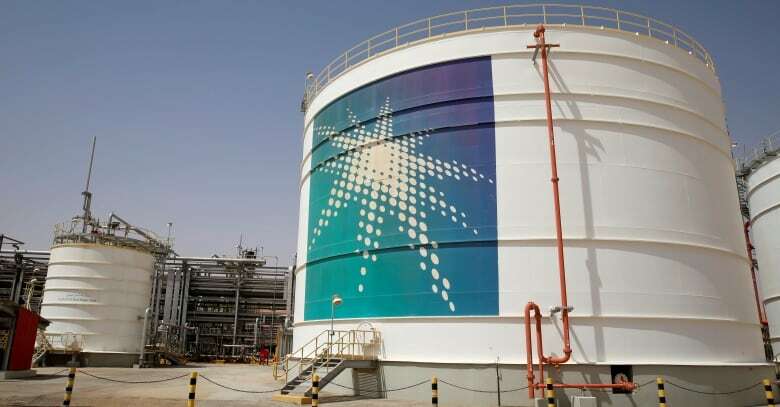 Last year alone, Aramco paid the Saudi government around $160 billion in royalties and taxes. And all that money can be marshalled to advance the kingdom’s interests, whether it means paying off the late Khashoggi’s children with houses and monthly stipends, or showing some love to the neighbours. Today, the Saudis announced a $1 billion investment in development projects in Iraq, and the “gift” of a sports city, as they try to counter Iranian influence in the region. Which perhaps helps to explain why Donald Trump is getting ready to use his veto powers, for just the second time, to quash a new House resolution to end U.S. military aid for the Saudis’ war in Yemen. The enemy of my enemy is my friend, as the old saying goes. Jody Wilson-Raybould and Jane Philpott may no longer be part of the Liberal caucus, but they aren’t fading into the political background, writes The National co-host Rosemary Barton. The week started with two people at the centre of the SNC-Lavalin affair being removed from caucus. And no matter what you think of the central issue of political interference, it seemed clear to many that this eviction had to happen. Like it or not, “party politics” means you agree to support your leader, and you express confidence in him or her and their ideals in public. That may not be the way it should work, but it is the way it works today. And in those circumstances, it was clear neither Jody Wilson-Raybould nor Jane Philpott could express that kind of blanket confidence publicly any longer. The party has been bleeding support in the polls, and that’s certainly not the sole responsibility of these two members, but their ouster is an attempt by the Liberals to try and limit the damage. Since the two have left caucus, though, they have not faded into the background. They are now giving some interviews. They are scrumming at every opportunity. And they are still very much a presence here in Ottawa, even if they are now relegated to the very far corner of the Chamber. And other parts of the story are still emerging. As David Cochrane reported last night, there was a full-court-press to try and keep Wilson-Raybould in the fold. Part of that involved specific requests by the former AG that would satisfy her. But as the talks continued, we’re told, it seemed as though the list of demands kept growing and that Wilson-Raybould ultimately wasn’t going to express confidence in the Prime Minister. I’m losing track of the constant twists and turns in this story. We’ll pull way back from all of this tonight on At Issue and Chantal Hébert, Andrew Coyne and Chris Hall will help us get a better picture of where we are now — and what might happen next. The plight of nearly 100 whales held captive in Russia has attracted the attention of everyone from marine biologists to Vladimir Putin, reporter Chris Brown writes. President Vladimir Putin likes to be seen as Russia’s problem-solver in chief, including when it comes to wildlife problems. 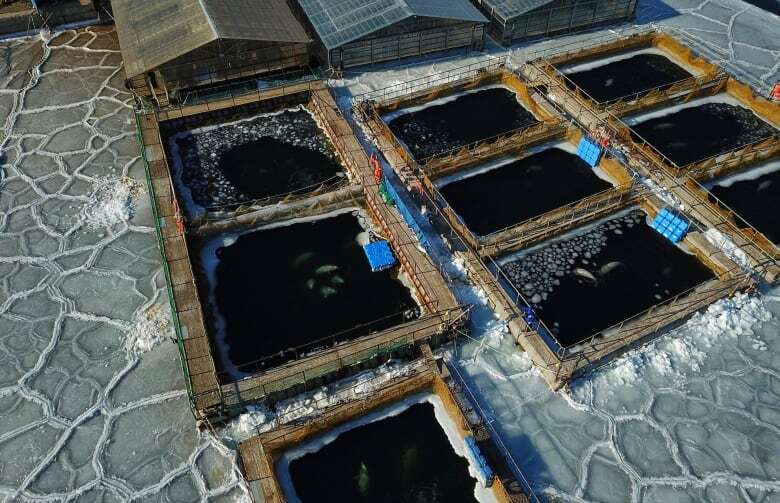 So when word broke a few months back that there were nearly 100 whales in captivity — and suffering — in pens near Vladivostok, all eyes turned to the Kremlin. The 11 orcas and 87 belugas were captured under a loophole in Russian law that allows whales in the wild to be caught for educational purposes. But the four Russian companies involved were less interested in studying the whales and more into selling them to the highest bidder. There’s a booming market in China for marine mammals to perform in the scores of new marine parks that are expanding at a rapid rate throughout the country. An orca can fetch up to $5 million US — and a much smaller beluga, as much as $150,000. Stepping in as the voice of reason, Vladimir Putin let it be known through his spokesperson that he felt the whales should be released. One month later, however, they’re still in their pens and there is no agreement on precisely what happens next. Many of the creatures were captured and taken thousands of kilometres from their usual habitat, and releasing them where they are would almost certainly cause many to die from starvation. So, in another unusual move, Russia’s government has taken up the offer of outside help and invited some of the world’s top marine biologists to Moscow today to try to come up with solutions. We’ll have the story of Russia’s notorious “whale jail” on The National tonight. 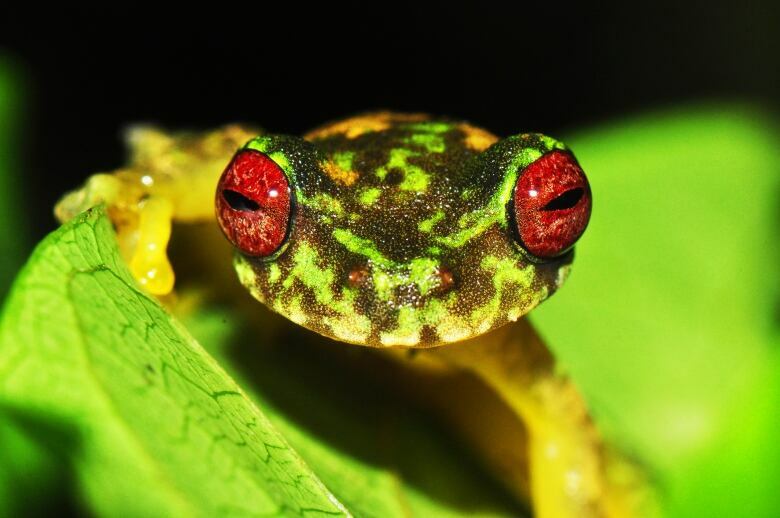 – Simon Fraser University biologist Wendy Palen on the spread of chytridiomycosis, a skin-eating illness that has wiped out 90 species of frogs and toads. Bernie Sanders has never hidden who he is — even if he has maybe been a little coy about his ambitions. “To me, what socialism means is democracy,” he told the CBC’s Paul Workman in this 1989 profile. “It means doing away with a system where one per cent of the population owns half of the wealth, where the rich get richer and the poor get poorer.” The hook was supposed to be the political retirement of America’s fave (and surely only) socialist mayor. A little over a year later, he ran as an independent and won a seat in the House of Representatives. Today at age 77, he’s readying his second bid to become president. What's green, tastes great on toast and is kind of unsustainable?